Last Month: John Ruddick gave us a lively talk on Coventry Charterhouse: Past, Present & Future. Of the original 10 Carthusian monasteries in England Coventry is one of only two substantially extant, the other being Mount Grace Priory in N. Yorkshire. He outlined plans for a Heritage Park which would link the Charterhouse with the Whitefriars and with Paxton’s London Road Cemetery. Since the meeting this Charterhouse project has received a major grant of £4.3m from the Heritage Lottery Fund. Thanks to this grant, the people of Coventry will once more have access to this important part of their heritage. The building will be restored with new visitor facilities to encourage local community involvement and the surrounding parkland will be opened up for recreation and enjoyment. It is anticipated that the building will open in 2020 to coincide with Coventry’s City of Culture. This evening: Dr David Symons will take us behind the scenes of one of the most stunning archaeological finds in the Midlands in recent times – the Staffordshire Hoard. 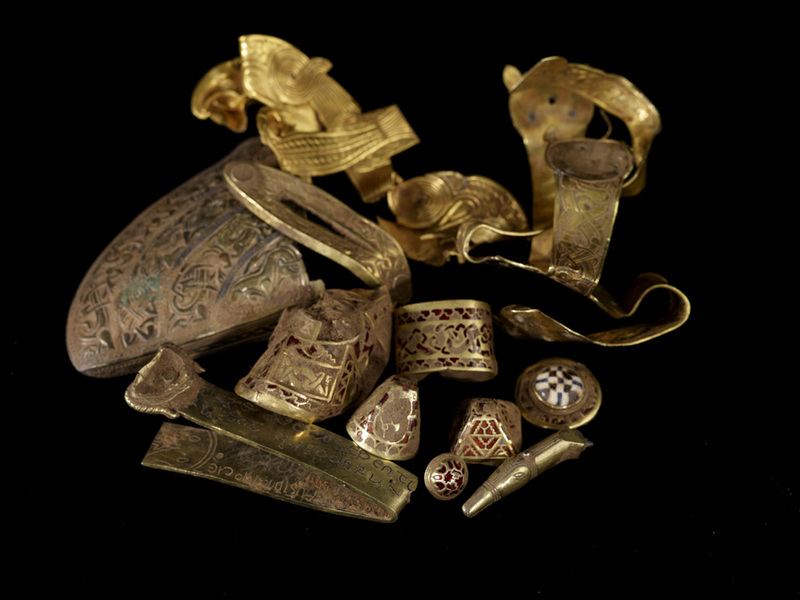 Dr Symonds, who worked at BMAG for many years, has been consumed by the hoard since 2009. Data Protection: ALL MEMBERS, even those without e-mail or sharing an address with a partner, are asked to submit their GDPR form when renewing their subscription. The GDPR comes into effect at the end of May so, thereafter, you will not be notified of Society events if you have not returned your form. …and in May Roy Smart will be flying near the sun when he tackles the subject of Another Icarus: the rise and fall of Percy Pilcher …… and the art of flight. Sad News ….Harry Bodenham, an active member of the history society for many years, sadly died suddenly at home on 27 March . His funeral will be on Friday 20 April at 10.30 am at St Mary’s church, Stoneleleigh. YOU COULD BE INTERESTED IN ……….. YOU COULD BE INTERESTED IN ………..